ENTER the 30th Anniversary Sweepstakes now! The release of Threads #181 (October/November 2015) marks our 30th year in print. Over the years, we’ve worked hard to bring you expert sewing advice, techniques, and projects. To celebrate our milestone, we’re giving you the opportunity to enter our anniversary sweepstakes. From September 1 to October 31, 2015 you’ll have the chance to win an incredible prize package worth more than $2,000 from Threads, Janome, Clover Needlecraft, Inc., Creativebug, Stella Lighting, Onwell and Go-Organize.com, Fiskars, Coats & Clark, Simplicity, Oliso, Schmetz, and Euro-Notions. No purchase is necessary to enter. Sweepstakes is open to legal residents of the United States who are at least 21 years old and to legal residents of Canada (except Quebec). Sweepstakes are void in Quebec, Puerto Rico, and anywhere else where prohibited. There is one way to enter the sweepstakes. 1.) Visit www.threadsmagazine.com/celebrate30, complete the online entry form, including your name, complete address, daytime phone number, and e-mail address. Submit your completed online entry form. All entries become the property of the sponsors. Only one entry per person. 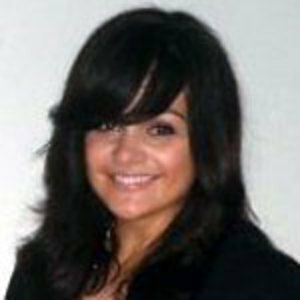 Total value of prizes being awarded: $2,525.54 (US$). Threads #178: Check out our latest issue and enter to win! 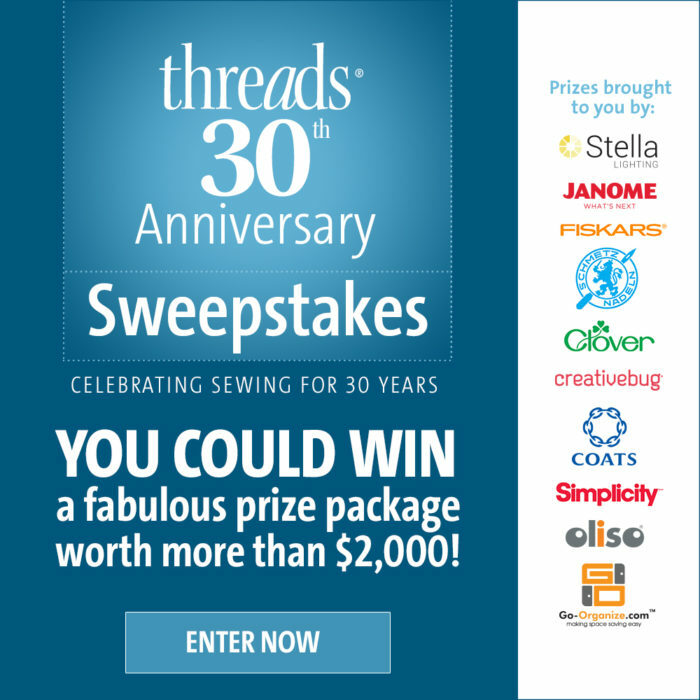 Enter the Threads & Simplicity Monthly Spring Sewing Sweepstakes! Thank for all the inspiration.